Rio Tinto’s report for the third quarter of 2018 shows that the miner’s overall diamond production at its Argyle Mines and Diavik Mine fell sharply year-on-year. Rio Tinto’s diamond production guidance for 2018 is between 17 and 20 million carats. At Argyle, production in Q3 totaled 3.83 million carats, a drop of 19% year-on-year. At Diavik, production fell 9% year-on-year to 1.06 million carats. For the first nine months of the year, production at Argyle fell 1% year-on-year, and at Diavik production fell 4% compared to the same period last year. Rio Tinto added that the A21 project at Diavik “is expected to reach commercial production during the fourth quarter of 2018”. Back in August, Rio Tinto reported its production and sales results for the first half of 2018, showing that diamond production was 9% higher year-on-year, totaling 9.2 million carats. 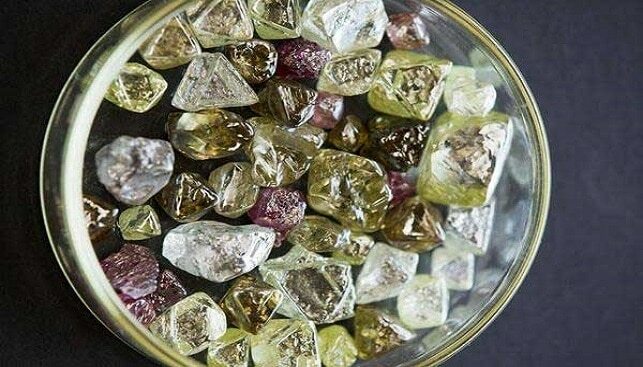 As for diamond sales, these fell to $323 million in H1 2018, compared with $340 million in H1 2017.